Watching: Season 1 of “Mr Robot” (Whoa.) and old seasons of “The Wire.” After “Breaking Bad” ended I started saying that it was the best television show EVER because it went out on a high note while Season 5 of “The Wire” is the worst of the bunch. I’m reconsidering this assertion now that I have started on my third time watching the entire series of “The Wire.” I’m not sure I could go back and re-watch “Breaking Bad” but, man, do I love “The Wire.” Let’s just call it a tie. Anticipating: So many exciting things happening this month! The Lesotho Wine & Craft Festival is this weekend (aka the social event of the season). Later I get to see the Alvin Ailey dance company perform in Joburg and then I’m off to Jon and Emma’s wedding at the end of the month. Yay for reuniting with Lesotho friends!! I’m also eagerly anticipating the arrival of my first grown-up piece of furniture, a couch I ordered and that should be delivered this week or next. Exciting month ahead!! Listening/Reading: I just finished “The Unbecoming of Mara Dyer” as an audiobook and cannot wait to start the next one in the trilogy. It left me wondering, “What the f*** is going on?” in the best way possible. Eating: Lots of salads (my fave: chopped up broccoli, red onion, cucumber, red pepper plus chick peas and canned corn) but it’s almost time to break out the gas grill. 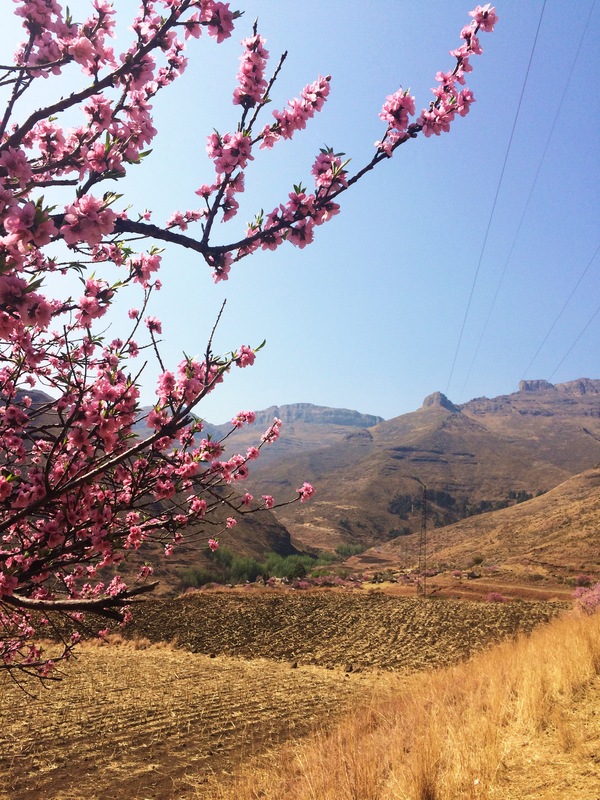 Loving: Spring in Lesotho! The peach trees are in bloom and the whole country is pink. Love it.